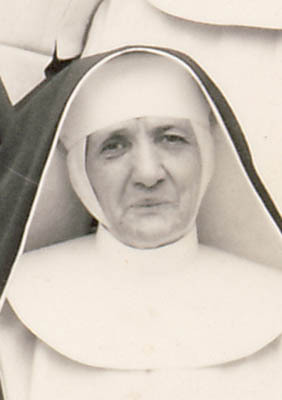 Two existing samples of Sr Aquin’s work. 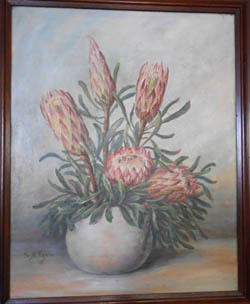 The Proteas can be viewed at the Heritage Museum. 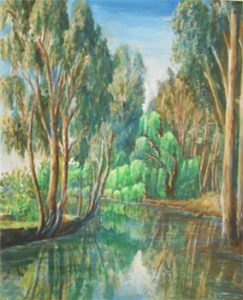 Sr Aquin Fraenkel entered the Congregation at St Immaculata Convent in Schlehdorf and came to South Africa in the late 1920s where she taught Art and painting at the Sacred Heart Convent School in East London. Sr Desideria Trummer taught art in South Africa, for many years at the Convent School in Klerksdorp. 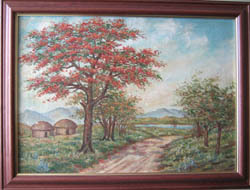 Below is one of two of her paintings left in the Congregation.